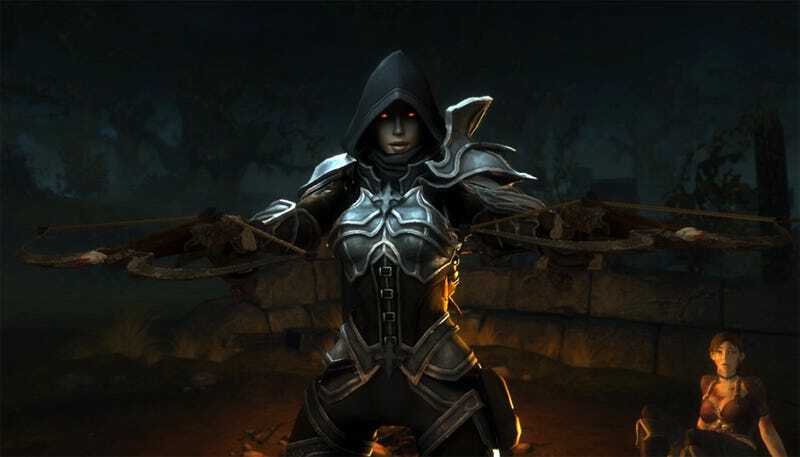 Diablo III's fifth character class is the Demon Hunter, Blizzard announced at BlizzCon 2010 today. Chris Metzen, Vice President of Creative Development at Blizzard Entertainment, told a packed hall of Blizzard fans that the fifth and final class for upcoming Diablo III will be a dual-crossbow wielding Demon Hunter. The game's other four classes are the Barbarian, the Witch Doctor, the Wizard, and the Monk. The sequel to popular action role-playing game Diablo II was announced at Blizzard's World Wide Invitational in France in the summer of 2008. Since its unveiling, Blizzard has regularly updated the game's frenzied fans on the latest developments for the game. They haven't, though, ever announced a hard release date. See the Demon Hunter in action here and don't miss the rest of our BlizzCon 2010 coverage.